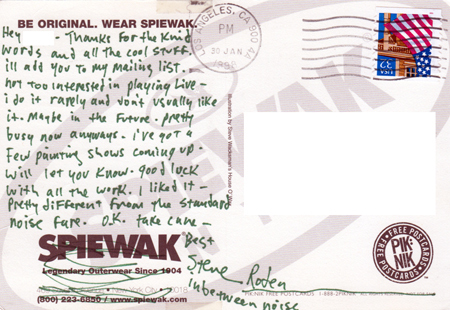 Postcard from Steve Roden – January 30, 1998. Image enlarges. 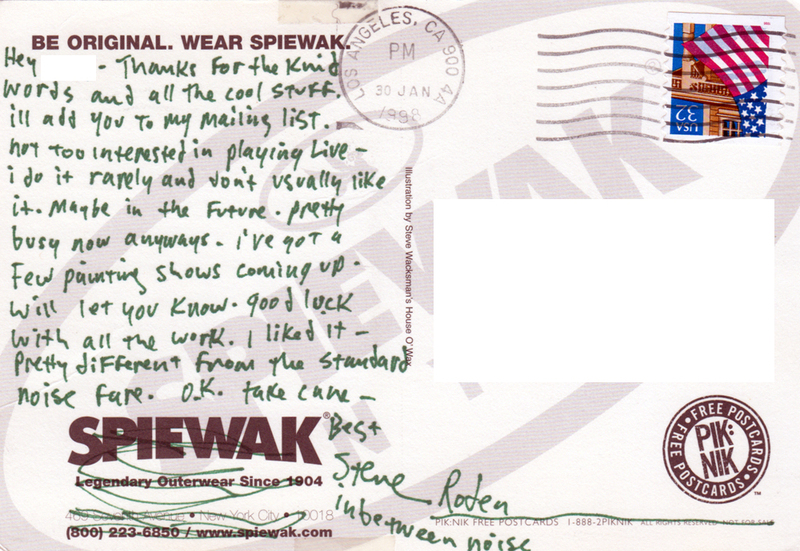 Here’s an old postcard I dug up that was hand crafted by the musician / sound artist Steve Roden of In Be Tween Noise fame. 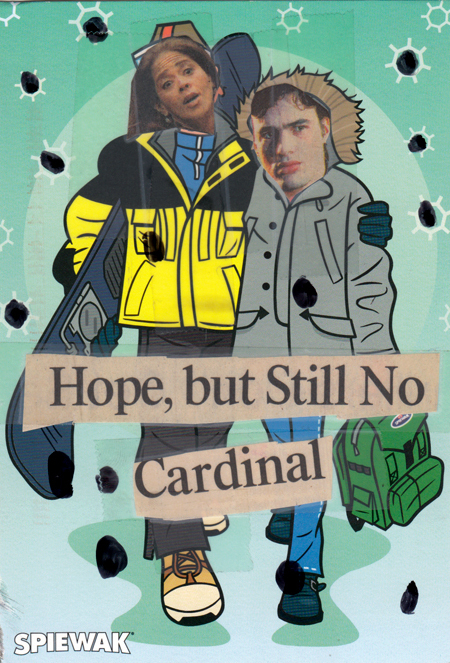 Postcard artwork ©1998 Steve Roden. This entry was posted on Wednesday, September 19th, 2018 at 3:07 pm	and is filed under Steve Roden. You can follow any responses to this entry through the RSS 2.0 feed. You can skip to the end and leave a response. Pinging is currently not allowed.